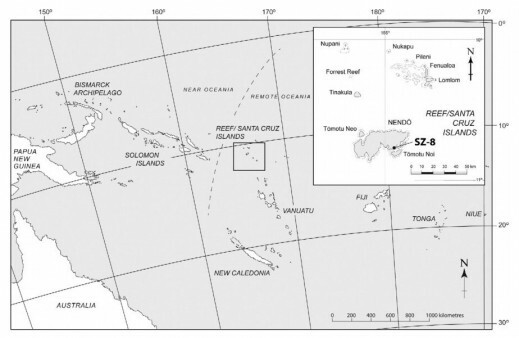 Archaeologists analyzed 15 obsidian artefacts recovered from the Nanggu site in the Solomon Islands and found that they were likely used for tattooing. Photo Credit: Kononenko et al/Journal of Archaeological Science: Reports/Live Science. A new study says 3,000-year-old volcanic glass tools from the South Pacific were used for tattooing and will hopefully provide an insight into ancient tattooing practices. Apart from rare specimens of tattooed human remains, such as those on a mummy in the Alps, which are 5,000 years old, researchers do not have a way of learning about tattooing practices in ancient and prehistoric times. Tattooing instruments are also very rare, probably due to the materials used to make them. 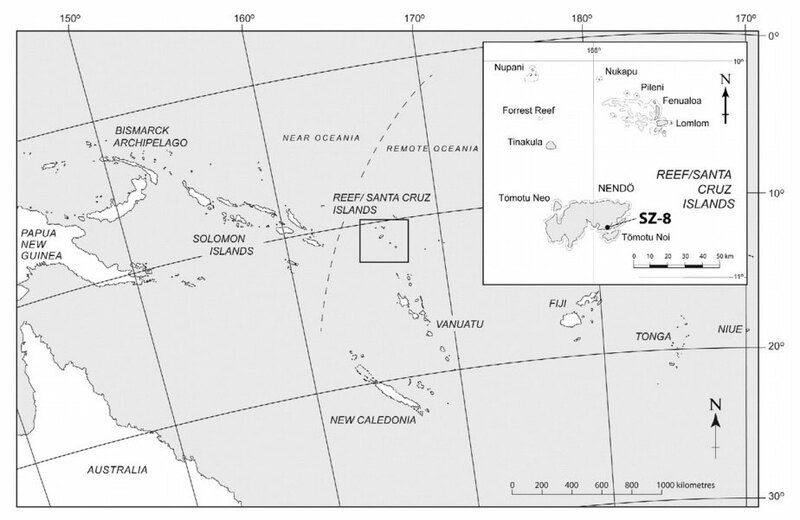 However, a new study published in the August issue of the Journal of Archaeological Science: Reports, focuses on prehistoric tattooing in the Pacific, analysing obsidian artefacts from the Nanggu site in the Solomon Islands. Researchers hope that learning more about tattooing will yield information on wider social changes in the region. 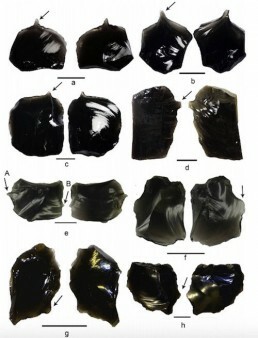 In particular, Robin Torrence, an archaeologist at the Australian Museum in Sydney, Nina Kononenko, of the Australian Museum, and Peter Sheppard, of the University of Auckland in New Zealand analysed 15 obsidian artefacts from Nanguu, at least 3,000 years old, and shaped so that each had a short sharp point on its edge. They performed tattooing experiments with pigskin, using black charcoal pigment and red ochre dye inserted with obsidian tools of the same size and shape as the artefacts from Nanggu. After four months a comparative analysis showed that both the tools they used and the prehistoric artefacts had the same signs of wear and tear. Initially researchers thought that these tools were used to process animal skin, but this explanation wasn’t very plausible since there were not appropriately large animals in the region hunted for the use of their skin. Tattooing is an important cultural practice in the Pacific, even today. “In fact, the English word ‘tattoo’ comes from a Pacific Polynesian word: tatau”, Torrence said. The research demonstrates how old and significant tattooing as a cultural tradition is in Oceania. Researchers also hope that the findings of their study will help learn more about similar uses of obsidian tools in other parts of the world, where tattooing cannot be detected by any other means.